On the Tennessee side, where I spent most of this visit, there are a few parts of the park that are more photogenic. They include the viewpoint from the top of Clingman’s Dome, the streams at Roaring Fork, and probably my favorite – Cades Cove. Many of these areas take awhile to reach as there are limited roads in and they are regularly busy or backed up by RVs or just the sheer volume of visitors. In fact, Cades Cove was basically a parking lot as most visitors are content to drive the 11 mile loop road hoping something interesting might walk by their slow moving car rather than park and hike from time to time. So patience is probably requirement #1 if you’re trying to get to a specific location. But once you get to a destination, it’s easy to shake off any traffic related stress. Claw marks on a tree stripped of bark. 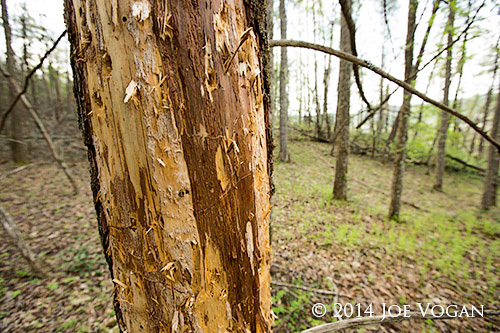 The bear was either hunting insects or sharpening its claws. Nearby, feathers from the remains of a large turkey were scattered on the ground. 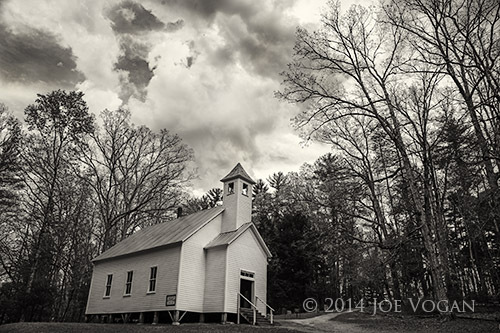 In Cades Cove, there are a number of log cabins and churches preserved after the last of the settlers moved out in the early part of the 20th century. 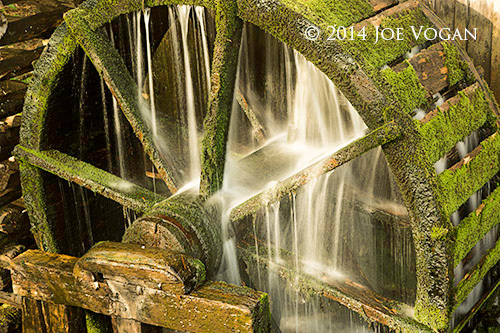 More history of this section of the park can be found at http://www.cadescove.net/auto_tour.html . 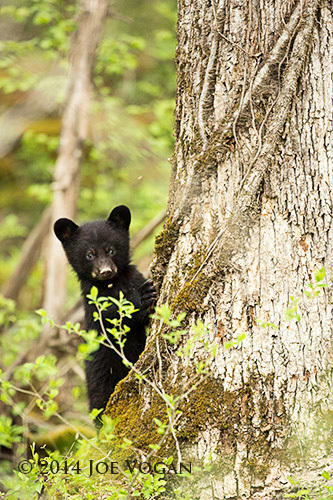 Also, it’s not difficult to see wildlife such as white-tailed deer, turkeys, and even black bears. This time I saw some younger bears, including a trio of first year cubs staying close to their mom. 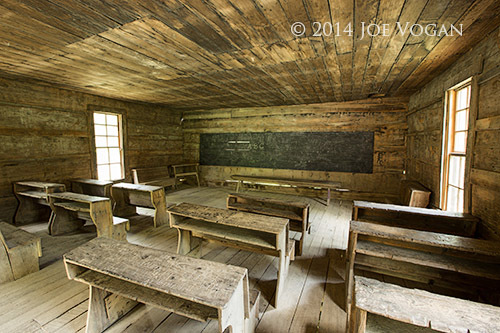 A short drive from Cades Cove, heading back towards Gatlinburg, is the Little Greenbrier Schoolhouse, a one room building built in 1882 and used until 1936. Another nearby road tracks the Middle Prong River and is a nice place to stop for a break or a picnic as I don’t usually see many people on this spur road. My final stop this time, just outside of the central part of Gatlinburg, was a loop that has several more historic cabins and interesting streams with moss covered rocks similar to what you’d find in the rainforests of the Pacific Northwest. A severe storm had passed through eastern Tennessee overnight, so on the last morning I drove the loop there were tree limbs and branches over a good portion of the road. Fortunately nothing that couldn’t be moved or skirted around. 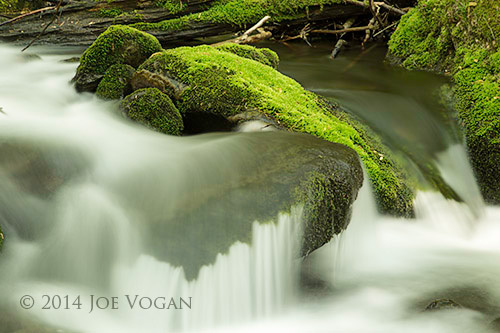 So other than visiting the Smokies during the peak of the fall colors, a Spring visit is probably the next best thing. 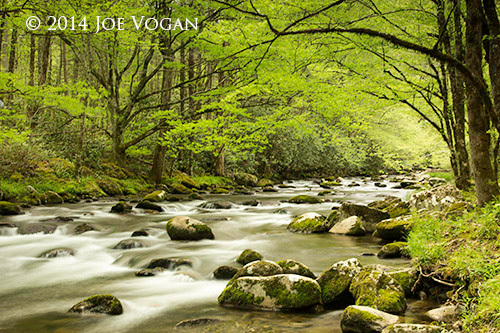 This entry was posted in National Parks, Weekend Trips and tagged Appalachian, bear cub, mountains, National Park, nature, photography, Smokies, Tennessee, wildlife by Joe Vogan. Bookmark the permalink.